Efficient and beautiful, this Amish Westland Small China Cabinet is perfect for your dining room or kitchen in the solid American hardwood you select. Bold bracketed feet support the handcrafted Westland Small China Cabinet. Our Amish artisans will incorporate mortise and tenon joinery and dovetailed drawers into your heirloom worthy hutch, along with beveled glass and concealed door hinges. Illuminate your collectibles with the touch control light switch and recessed lighting, and store essentials within the spacious cabinet buffet. 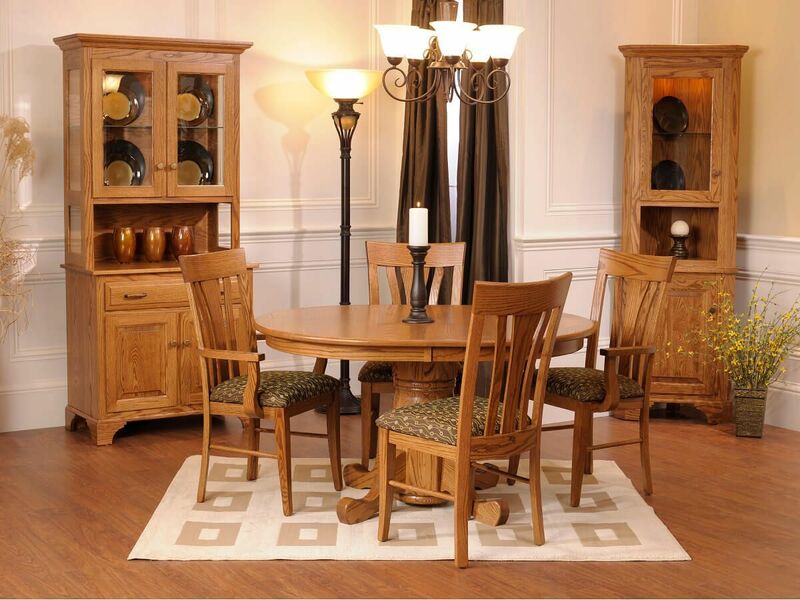 Shown in Oak, you may have your traditional china cabinet crafted in a variety of wood and stain combinations. 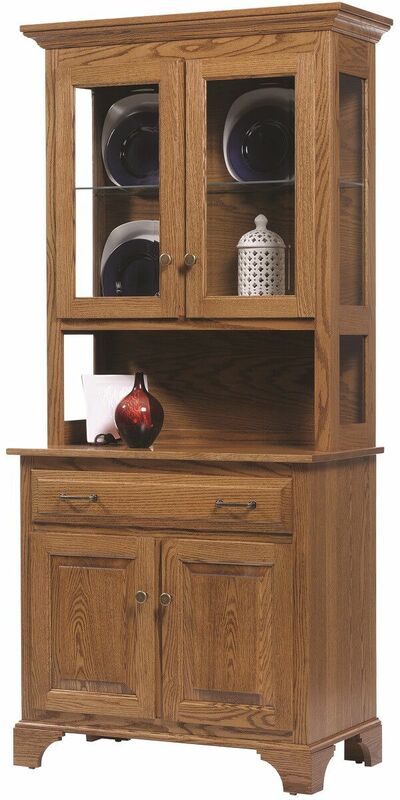 Allow us to get started on a Westland Small China Cabinet by completing our online Create Your Piece menu.